The follow-up to Mistress of the Art of Death - in the national best-selling series hailed as "the medieval answer to Kay Scarpetta and the CSI detectives". When King Henry II's mistress is found poisoned, suspicion falls on his estranged queen, Eleanor of Aquitaine. The king orders Adelia Aguilar, expert in the science of death, to investigate - and hopefully stave off civil war. 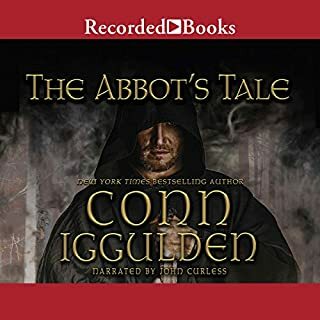 A reluctant Adelia finds herself once again in the company of Rowley Picot, the new Bishop of St. Albans...and her baby's father. Their discoveries into the crime are shocking - and omens of greater danger to come. I wish Audible would put these in order, though. The first in the series is Mistress in the Art of Death. Second is The Serpent's Tale; third is Grave Goods; fourth is Murderous Procession. The books, consumed in the correct sequence, develop the main characters quite well and each story line is totally satisfying. 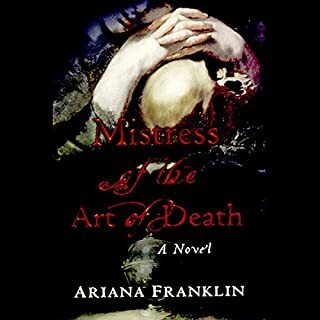 I thoroughly enjoyed Franklin's first book in this series, Mistress of Death. This book had good development etc, but medical details were not so prominent as in Mistress. Someone commented that Adelia whined throughout the book. While that seems a bit of an exaggeration, I agree her character was not as forceful as in Mistress and she did indeed whine. The love story is quite unique. It is not an overpowering portion of the plot but does add to the whole story. I found the narrator to be fine. It was a good book and I think you would clearly benefit if you read them in order without a large amount of time between the 2 novels. You will recall the characters more clearly and enjoy the story line better. Its definitely worth reading. Would you try another book from Ariana Franklin and/or Kate Reading? Kate Reading is a fine narrator. 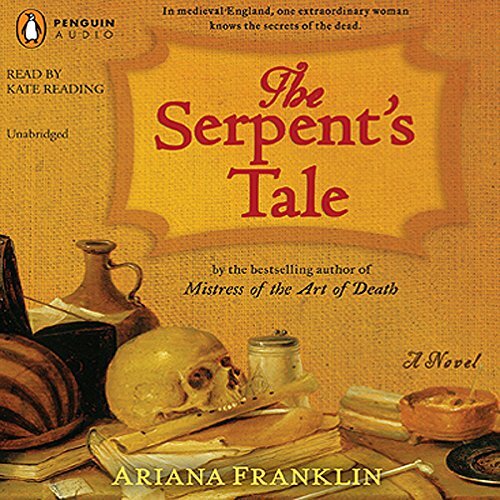 I'm not sure I could stomach the sloppy research and silly plot of another Ariana Franklin book. The narration was fine. The story was silly. I was disappointed and annoyed by this book. I've read a number of biographies and historical studies of Henry II and Eleanor of Aquitaine. Their characters in this book bear little resemblance to what is known of them. The entire plot depends on the Elizabethan-era canard that Eleanor of Aquitaine poisoned Rosamund Clifford. That didn't happen. Rosamund did not live in a tower protected by a labyrinth. There is no evidence that Rosamund held pretensions to becoming queen; even if Eleanor had divorced him, it would have been inconceivable for Henry to marry the insignificant daughter of a minor Marcher lord who had been his mistress. Eleanor was a cunning and powerful woman. If she had escaped captivity, she would have fled to her own lands in Aquitaine to raise rebellion, not make a winter crossing to England where she never held much power. Moreover, she would have been attended by high-born vassals, not a crude mercenary. Eleanor mocking Rosamund for becoming "fat" applies modern standards of beauty to the 12th century; even a cursory examination of art and sculpture of the period shows that plump women were admired among the upper classes. I could go on and on. This was obviously a rushed work with sloppy research to take advantage of the success of Mistress of the Art of Death, which was much better even though it also contained a lot of anachronisms. I have to say that I enjoyed this, but not as much as "Mistress in the Art of Death". The main character's relationships are less intense and less interesting than in "Mistress". I also found the mystery less interesting and a bit harder to follow. It's an enjoyable listen but didn't grab me. It's almost like the author was struggling to compete with her first book. Well-narrated. 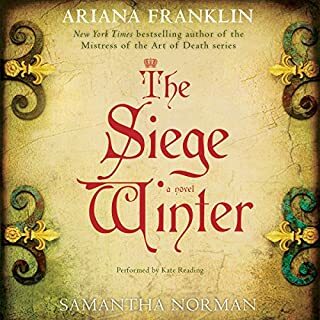 A creepy medieval winter landscape is the main character in this installment, and I loved every shivery minute of it. Adelia is a strong willed woman who is first and foremost a physician. Her determination sometimes causes her to make very questionable decisions, but they always lead to rip roaring fun. A little on the gruesome-side at times, the series is always entertaining, and the love story is totally unique. Not to be missed! I was so excited after listening to the first one, I could hardly wait. But I was disappointed. This one did'nt have nearly the medical lore/investigation as the last one that was so interersting (I'm not an historian, so I have no idea if either was historically accurate). The protaganist was really just passive...the case solved itself without much input or sleuthing from her- which was part of what was so much fun about Mistress of the Art of Death. I just started A Grave Surprise and hope that it'll be just as good as the first one. I was disappointed in this second installment. Adelia is a strong female character in the first book, but in this one, she is reduced to whining, complaining, and is constantly fearful. The overall story is pretty fascinating,though, which made it worth it to get to the end. I am looking forward to the third in the series, and I hope that the strong yet socially awkward Adelia is back in full form. If you want all your i's dotted and t's crossed when it comes to the History of England then you may be a bit disappointed. However it is the story and the nature of the time, and the weaving of a mystery that Ms Franklin is Very capable of. I am looking forward to reading the third bood in this series . the story itself is just okay...some parts of it were not believable, but the biggest downer for me was that Kate Reading as the narrator made me think that Kay Scarpetta was reading to me. 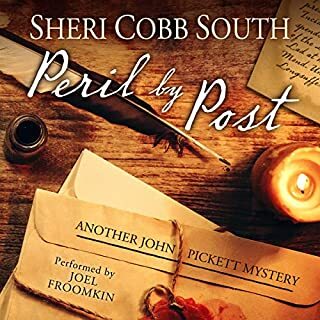 If you have listened to Patricia Cornwell's books that star Kay Scarpetta then this will be odd for you to listen to. 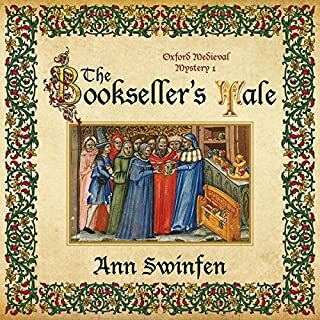 The voices of the male characters sound much like the mail characters in the Cornwell books and the voices of Ulf and Mansur sound like mice. sad. 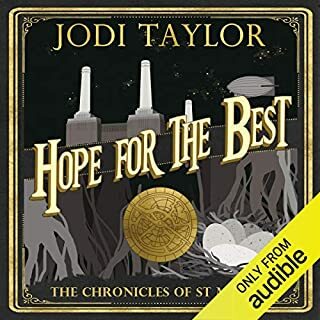 I really loved the first book in the series and will listen to the third one but I'm not impressed with the narration. This is a great series, whether read or listened too. The central figure is fascinating, and the historical background is interesting. If you don't know much about early English history (as is the case with me), this is a painless way to get a good, casual sense of it.